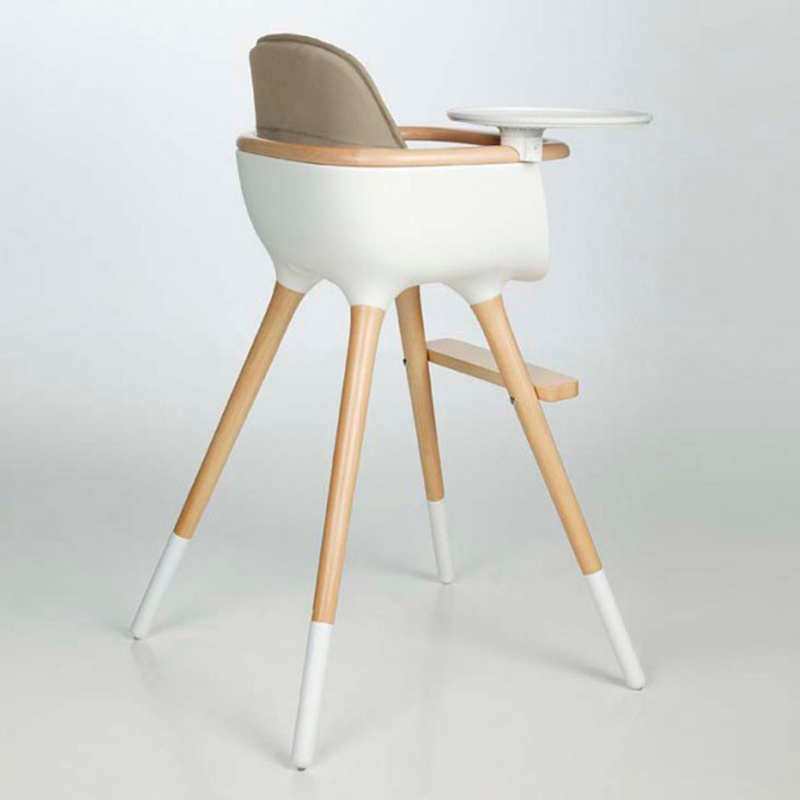 Functional and beautiful, Ovo One is a premium quality high chair by Micuna. It works as a high chair for babies and toddlers ages 6 months to 3 years, and then turns into a proper chair kids can use up to the age of 6 thanks to the included extension legs. It features a round tray, removable and washable, a footrest, a synthetic strap and a harness for the safety of little ones. This design high chair will be more comfortable with its fabric seat and harness, offered as an option. Designed by CuldeSac for the Spanish brand, Ovo One has an innovative shape that perfectly blends in with any space. Featuring rounded, simplified lines, this high chair by Micuna is as aesthetically valuable as it is safe and durable. 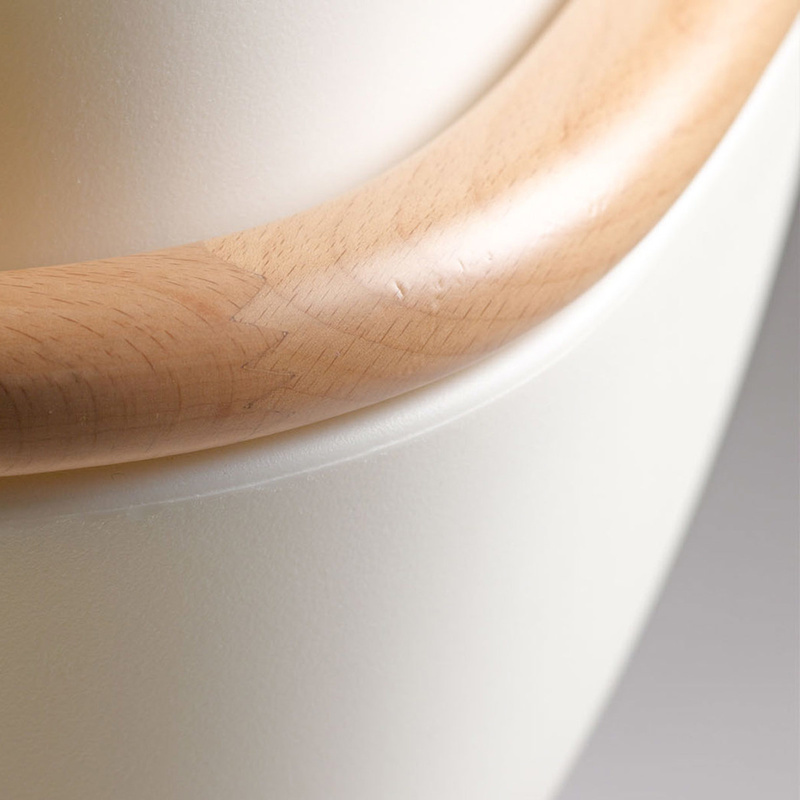 The chosen name for this furnishing accessory - Ovo - reflects the sense of warmth and safety of an egg interior. It perfectly replicated a cosy feel of a safe, protected nook, where children can feel cuddled and loved. 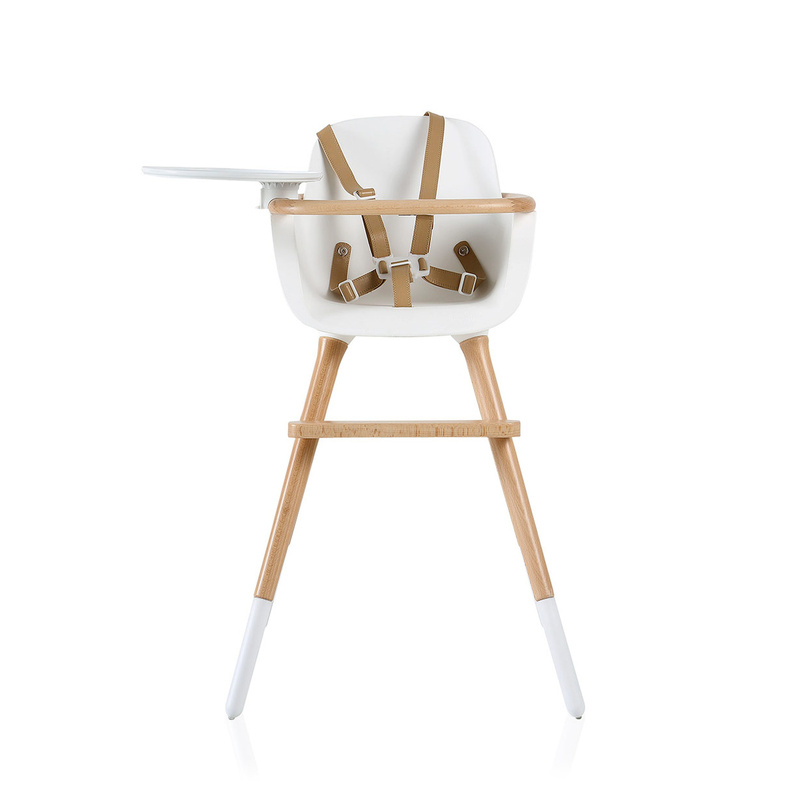 The Ovo One high chair is made from beech wood, plastic, metal and eco-leather. All materials are hypoallergenic, durable, sustainable and perfectly suitable for your little ones' delicate skin. No chemicals or aggressive substances are used to treat any of the materials in order to prevent any possible hazardous effect on the health or the environment. This item was manufactured, in fact, according to Micuna's philosophy, with a mindful approach to the protection of nature and kids' health. 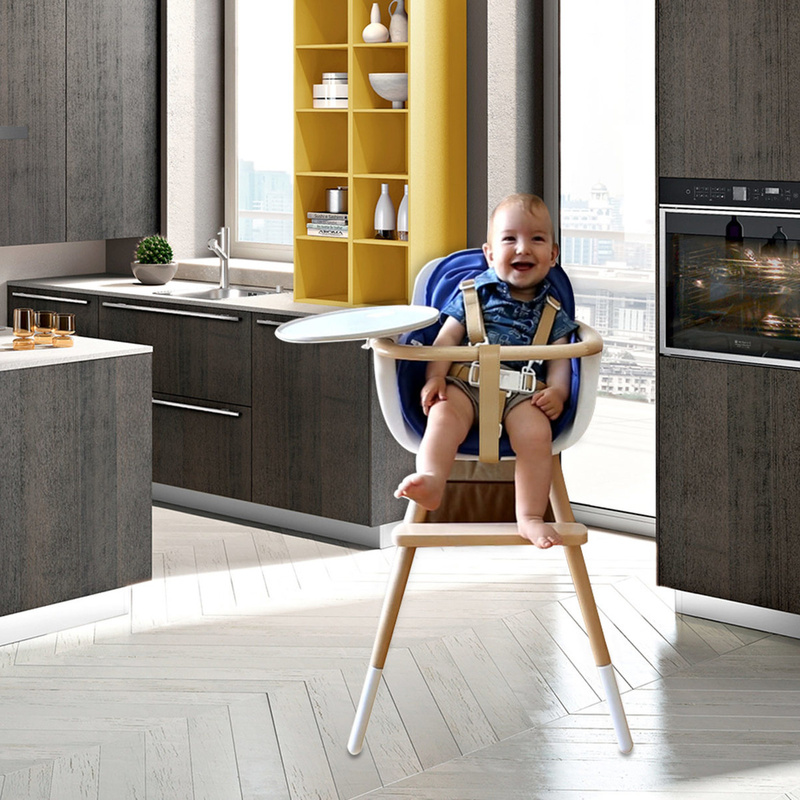 No details are overlooked by Micuna in creating the perfect high chair for your little ones. 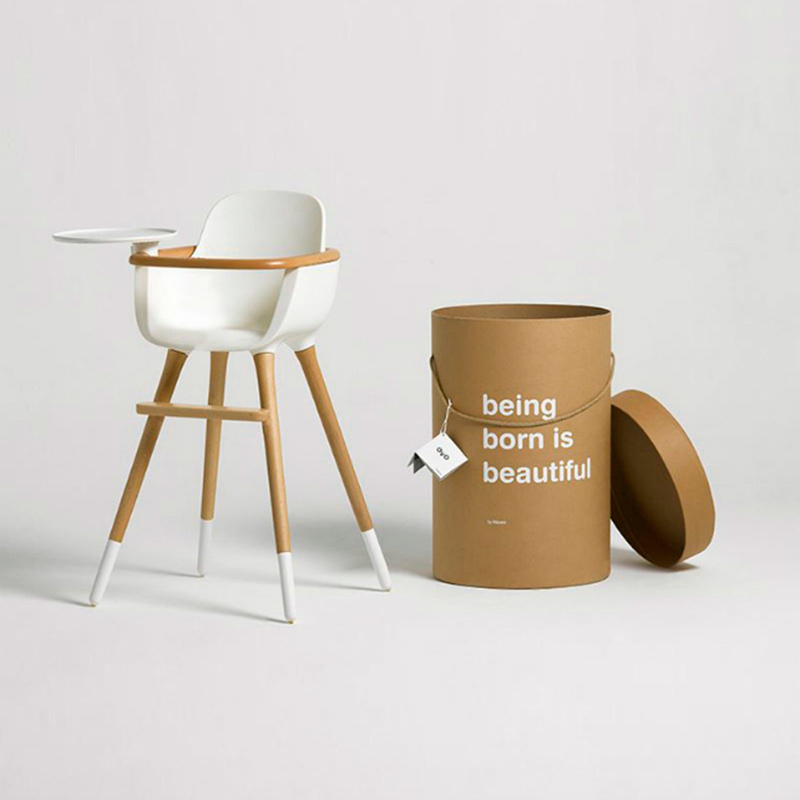 Micuna didn't just focus on the aesthetic side of this furnishing piece - it went a long way in ensuring that the best technology, quality, usability and safety are used and put at the service of your little ones. The extra perk of this high chair lies in its being convertible - you can rest assured that you'll be able to use this item for six long years, through all phases of your kids' growth. The safety harness is in eco-leather. Micuna was born in Spain in 1973. Renowned worldwide for the quality and safety of its products, this company is today a leader in the manufacture of cribs and furniture for children. The focus on children's safety and the development of their first abilities and autonomy is a firm commitment for Micuna.